Organized basketball is sport that requires, demand is probably a better term, that everyone on the court be physically fit. I say organized basketball because yes, a group of people can get together and play some basketball without any of them being in any sort of physical shape but when it comes to organized basketball such as for your school, a traveling team, AAU team, and most definitely in the NBA, the players need to be in good shape. Being physically fit is something that I take quite seriously even outside of basketball. To make sure I stay on top of my fitness I use the Fitbit Charge HR. 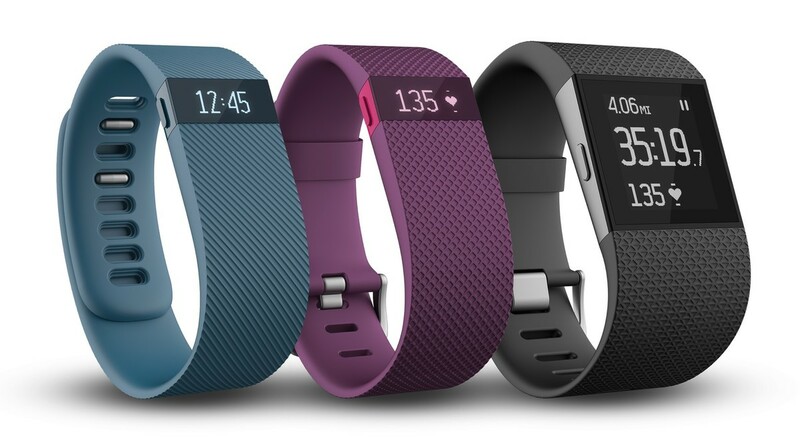 The Fitbit Charge HR is a fitness wrist band that can help you keep track of things such as steps taken, floors climbed, distance traveled, and an important one, your heart rate. It also has a very good amount of different functional features that I will talk about in the list below. This is what Fitbit calls its heart monitors on their products. The band has a censor right under the display that rests on your wrist as you wear the band. This is what senses your pulse and can accurately determine your heart rate. This function is basically what you would expect from any fitness band you purchase. It is able to track things such as the number of steps you've climbed, stairs you have climbed up, and calories you've burned, you know the essentials to a fitness band. One of my favorite features is that I can track my runs that I go on. The Fitbit had a companion app that allows you to view the routes you run and their distances, as well as save workouts with detailed stats for them. Now this feature I do not have much experience as I do not use it very often but I can see how it could be useful. If you were in a workout you could just look to see who is calling and determine if it is important enough that should take a break from your workout or if you can just give them a call later on after the workout. This may be favorite feature of all. It allows you to keep track of your sleep patterns. This is huge for me since sometimes I have trouble getting real good sleep, which can drastically affect workouts and meeting fitness goals. Again, not a feature I use often, really at all but I can see its uses. The alarm use a vibrate on your wrist as opposed to a sound but I am not confident that it would wake me up every time so I don't use it. I would say this is another feature you might expect with a fitness and but my old FuelBand had to be plugged in USB style to gather some bits of information, which could be a pain. The wireless synching for the Fitbit is really nice.Shop for Fitbit Charge 2 Bands at Mobile Mob.